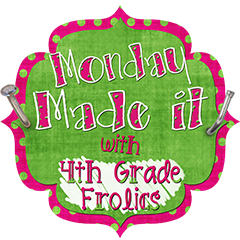 Tech Teacher Tidbits: Made It Monday...Finally!! The first thing I finally completed was the crayon organizer which I found on Pinterest but came from the infamous Miss Squirrel at Going Nutty. It was one of those "Duh! Why didn't I think of that?!" moments. I bought the mini-drawers and managed to get into school for my crayons. My daughter sorted them for me and the labels were made by me. That's what took the longest which is ridiculous because there is nothing fancy about them but I'm happy that it's done. Next, I worked on these place value tent cards that I found at Teaching in the Early Years. 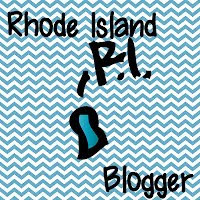 Shelley's post is full of information on making/using/storing this tool, as well as where to find the templates. It's definitely worth your time to check it out. Here's a picture of what mine look like. I used bright colors to match my room. This is probably cheating but I'm technically NOT done with this project. I decided that there was far to much laminating involved to do on my little laminator at home. I will finish the laminating at school but I wanted you to see the finished look now so you would have time to make your own if so desired. For my final project, I used water bottle caps for a making words center. I've checked my Pinterest boards and I've googled and googled but I can not find the original source. I have (in the process of searching) found lots of other great ideas for bottle caps but not the one that gave me the inspiration. If this is you, please tell me so I can link back to you and give the proper credit. This box of bottle caps will be one of the choices for Working With Words (a Daily 5 structure). I'm thinking sight word practice will be good but vocabulary work or the spelling skill of the week would also work. That's it for my completed projects. It's 9:27pm and I'm just now getting this posted...good grief! I hope someone gets some inspiration from my post because I have most definitely been inspired by all of your posts! You totally inspired me! Thank you for commenting on my blog. I'm following you now! Thanks so much for sharing my place value tent cards post! Your students will LOVE them :) Love all of your projects, BTW! Thanks for the kind words, Everyone! And Shelley, you are very welcome. Those tent cards are awesome! I saw the idea about using bottle caps on another blog as well! It's genuis. I like the plac value tents, very useful. I like the crayon organizer. Thanks for sharing.